Damp clothes or fabrics can easily be infested with mold if they’re not dried in time. If you’re in this situation, there’s hope! You can still save your moldy garments if the mold has only left a few spots. Here are a few general tips to remove mold from clothes and fabric. Read the labels. Follow the manufacturer’s instructions about the suggested water temperature for washing and how the clothing items should be dried. Scrub off the mold stain. Apply a mold stain remover, such as household soap, white vinegar or bleach, and use a toothbrush to brush off the surface mold. Be gentle and try not to damage the fabric in the process. Pre-soak the fabric. Since mold stains are hard to remove, you should also pre-soak your stained garment before washing it. Saturate it for one hour in a commercial pre-soak product or in a bucket of water with one cup of white vinegar. Wash your clothes in hot water. Besides being effective at removing bacteria and allergens, hot water also kills mold spores better. Of course, don’t surpass the maximum recommended water temperature to wash your clothing. If you have materials that can’t be washed, take them to the dry cleaner. Vinegar – Add one or two cups of vinegar per cycle along with normal detergent to kill any moldy smells and brighten your white fabrics. Borax – You can also use borax in a regular washing cycle, but only with organic fabrics like cotton and linen. Dissolve half a cup of borax in hot water and add it into the machine once it has filled with water. Bleach – This substance can kill mold in fabrics but it can fade colors. So make sure to spot-test first and read the label. Some labels say “no chlorine bleach”. 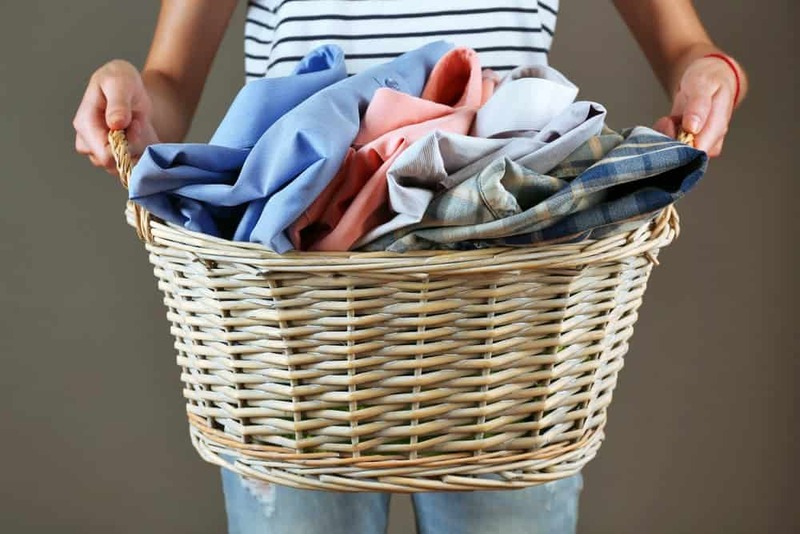 Once you know your clothes won’t be damaged, wash them with normal detergent and one cup of bleach. After washing your clothes, hang-dry them in the sun. Sunlight has a natural bleaching effect and also helps to kill mold spores in the fabric. Avoid using the clothes dryer as heat from this machine can make spots visible and difficult to remove. If mold stains persist even though you followed the above steps, repeat the whole process. Alternatively, dye your garment a darker color – this may cover the stain for good. Mold can also grow on other textile items in your home, such as upholstery and carpet. However, dealing with mold on these items – IF they can be salvaged – is a more difficult and time-consuming job. This is why calling an expert mold removal company for help is needed. Call Lakewood Restoration Pro to properly remove mold on upholstery, mattresses, rugs, and carpet. The post “How To Remove Mold Stains from Clothes and Fabric” was first posted by ProClean.com.